Great food, great service, good price. Everything is really hot, fresh, and delicious. Recommend to anyone looking for great authentic thai food. Loved the food, lots of seafood in soup and in stir-fry. Big chunks of crab and octopus, whole shrimps, really impressed. Staff is very nice and attentive to our needs. We were the last table there and the service was just as good. Very good food fresh and tasty in a clean and nice place. Also a very good service by the attendant. I will go back...Bring your own wine. I go there about once a month and everytime, the food is better. The Pho is definitly the best I've ever had even though I went to a lot of authentic vietnamese restaurant. I definitly recommend this restaurant. 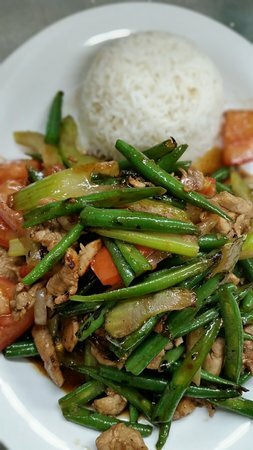 Get quick answers from Dragon Thai staff and past visitors.